To Parents: There are about 200 million firearms in the U.S., so even if you do not own a gun, there’s a good chance your children will encounter one someday. Some of your children’s friends might live in homes with guns, or they may find one that has been discarded. One-third of all families in America that have children also have guns, and more than 40% of them don’t keep their guns locked up. Nearly two-thirds of firearm-owning parents with school-age children believe they keep their firearm safely away from their children. However, one study found that when a gun was in the home, 75%-80% of first and second-graders knew where it was kept. Few children under the age of 8 can reliably distinguish between a real gun or toy gun, or fully understand the consequences of their actions. The number one safety tip for kids and children is to talk to them about guns. 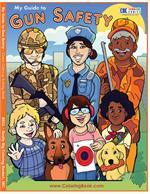 Teach children the difference between real, make-believe and toy guns. Tell your children to stay away from guns, and talk to their friends’ parents about gun safety in homes your children visit. 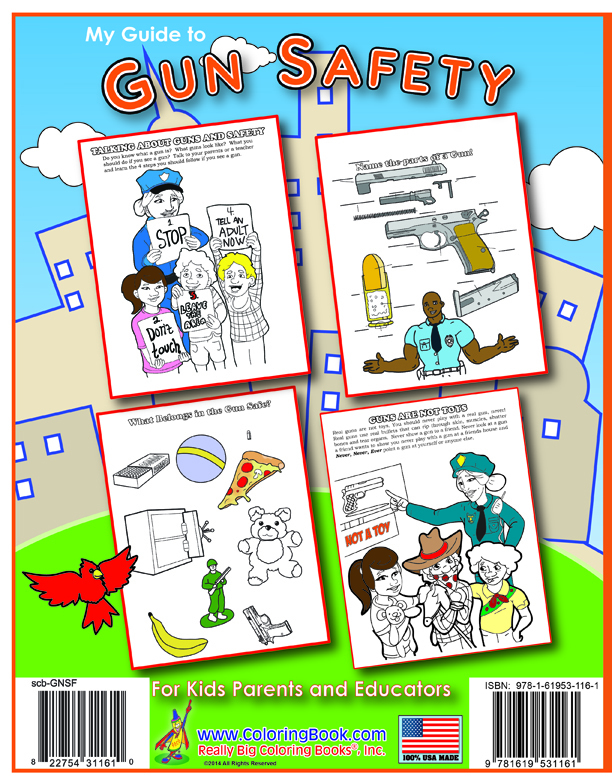 Used as a teaching and learning tool My Guide to Gun Safety - Comic Coloring & Activity Book is designed to be a fun educational activity book to help young children learn all about the gun safety. 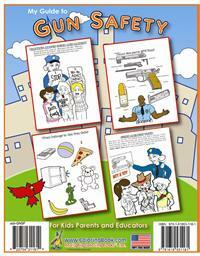 Designed for young children of all ages and those who wish to learn and educate others on safety with guns. With 32 pages of learning and entertainment, the book will certainly educate an entire classroom of students for many hours.